Jesus’ miracles are windows into God’s grand story of redemption. They confirm God’s message and demonstrate his power in the world and purpose in redemption. In this episode, Dr. Vern Poythress speaks with us about his book The Miracles of Jesus: How the Savior’s Mighty Acts Serve as Signs of Redemption (Crossway). Poythress serves as professor of New Testament interpretation at Westminster Theological Seminary. For the opensource-minded, you can also download this episode in .ogg format. 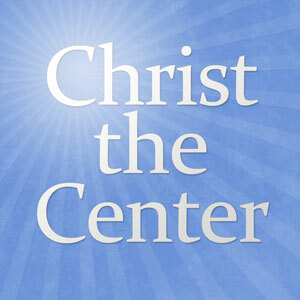 Christ the Center focuses on Reformed Christian theology. In each episode a group of informed panelists discusses important issues in order to encourage critical thinking and a better understanding of Reformed doctrine with a view toward godly living. Browse more episodes from this program or subscribe to the podcast feed. Another superb episode! Have you considered having Dr. Poythress teach us at the annual RF Theology Conference near Chicago? (I think Dr. Beale would be an excellent candidate as well… hint, hint…).